Disclaimer: I was given the DVD in this post for the purpose of review. If you came to my house right now and turned on my DVR the first thing you would see is about 10 episodes of Paw Patrol. My little Quinn had me record them and whenever he is having a bad day we curl up on the couch and watch them together. His favorite is when they meet the new pup Everest. This is his favorite show, we even have several of the play sets! You have no clue how many times we taking some sort of Paw Patrol toy in for show n tell at his preschool. He loves these sweet little pups. As I said we do have them on DVR, but as you may know I can't take that with me. He can't take them to his nannies house for sleep over and sometimes we like to watch TV in my room. Sadly I can't just unplug the DVR and take it back with us. And it even has an episode we never seen before!! I never knew there was a Mer-Pup episode! 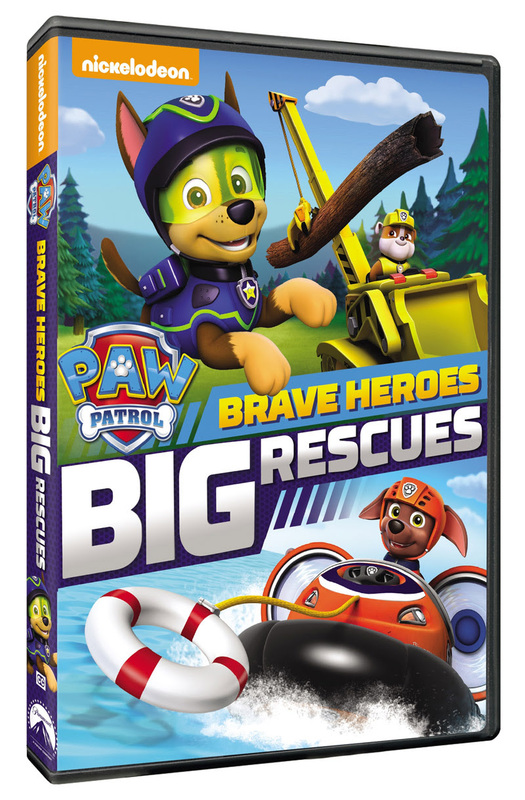 The PAW Patrol pups are geared up and ready to tackle some of their biggest challenges yet in the new DVD release PAW Patrol: Brave Heroes, Big Rescues available March 1, 2016. 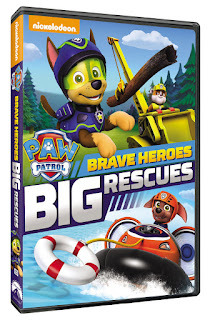 Pups Save A Mer-Pup - At a beachside camping trip, the PAWPatrol spots a Mer-Pup in trouble. The team transforms into Mer-Pups under the magical Mer-Moon to save their new underwater friends. My boys loved it and Quinn I swear is going to wear out the DVD soon he has watched it so many times.